Used in retail and office application environments, the Datalogic QuickScan L: QD2300 reader provides a snappy scanning performance and is capable of reading a wide range of barcodes including the majority of 1D and GS1 DataBarcodes (previously known as RSS). 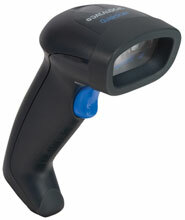 The QuickScan L: QD2300 reader has been designed with durability in mind. It meets the IP42 sealing rating (against dust and liquid spills) and has a 5 ft / 1.5 m drop specification. This scanner also has a greater than 1 million duty cycle trigger specification as well as sustainable 20 kV of Electro Static Discharge (ESD). These are the best class specifications of any product on the market. The Datalogic QD2330-BKK1S is also known as Data Logic	DTL-QD2330-BKK1S	or QD2330BKK1S	.